It is actually not that difficult for non-medical individuals to learn how to accurately look at a CT Sinus scan and determine whether there is a sinus infection, nasal polyps, or is actually normal. 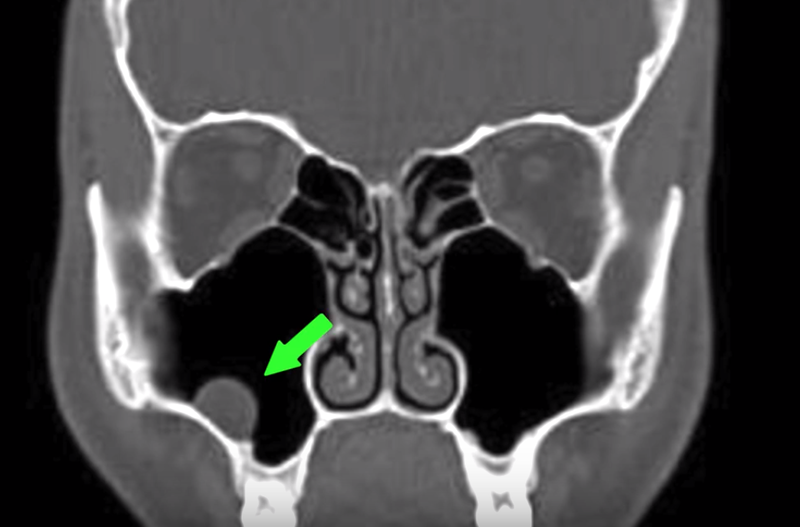 Watch the video above to learn how to read a CT Sinus scan like a pro (well, almost like a pro). But if you prefer to read, here's a brief explanation. CT sinus scans are obtained in basically two different orientations: axial and coronal. 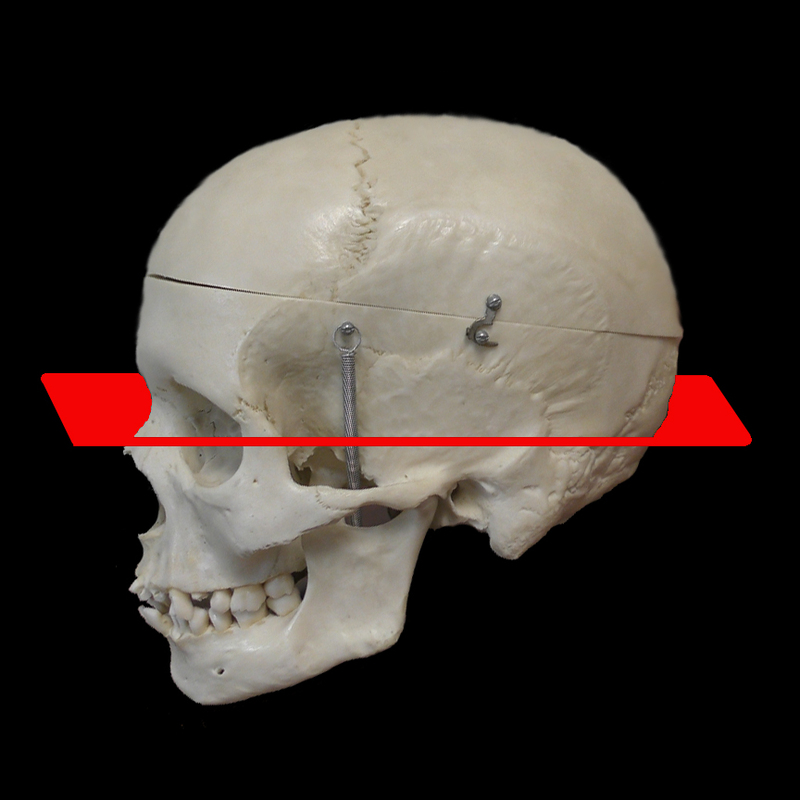 Axial is if you slice the head in the horizontal plane whereas the coronal plane is in the vertical direction. 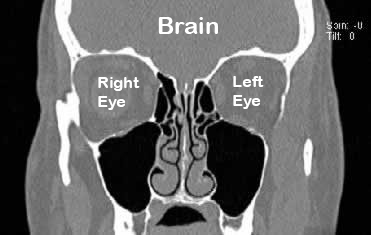 Next, a little anatomy lesson... take a look at where the sinuses are located and what they are called. 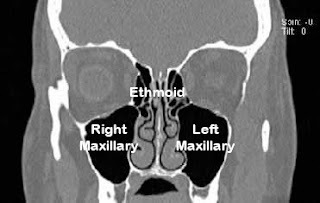 The maxillary sinus cavities are located below the eyeballs (aka the "cheek" sinuses) while the ethmoid sinus cavities are located between the eyes. 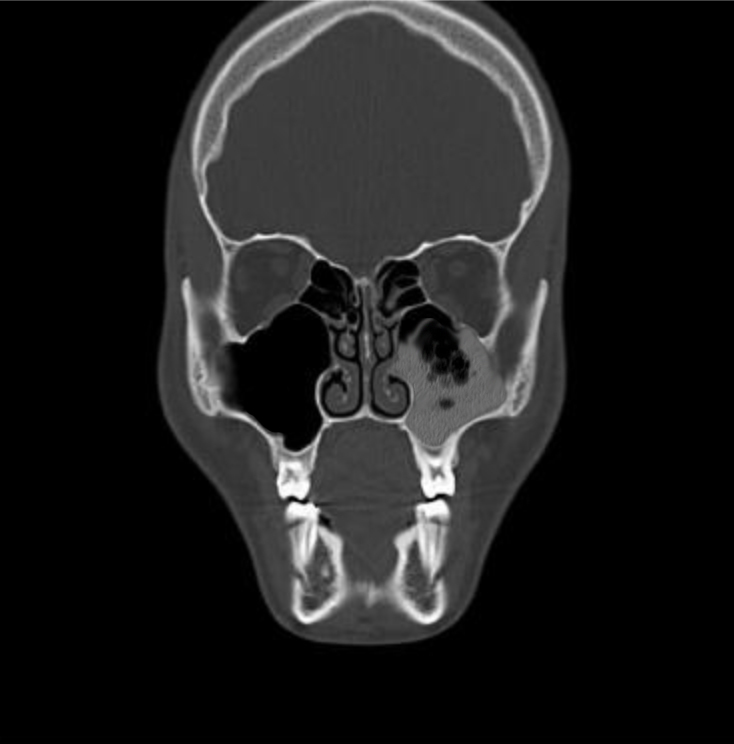 When it comes to sinus cavities, you want to see BLACK, because black is air and air is normal. If you see anything other than BLACK in the sinus cavities, this would suggest some type of sinus abnormality. Let's take a look at a few examples of ABNORMAL images. like water layering in a cup, you can see the same thing here. 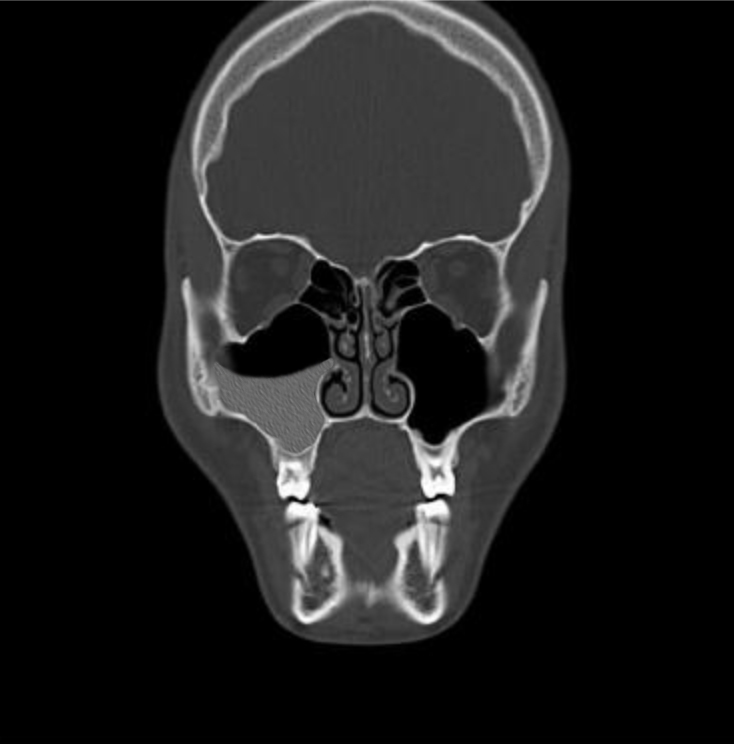 of the right maxillary sinus cavity. of the right maxillary sinus. 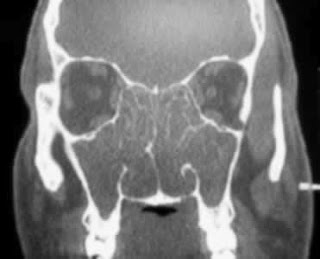 Severe nasal polyps involving all sinus cavities. Note that there is no BLACK (or air) in the sinus cavities. circular grey discoloration in the sinus cavity may be seen. With this background information, one should be able to at least intelligently be able to look at a CT Sinus scan and at least say whether there is any significant abnormality present in the sinus cavities (at least the maxillary and ethmoids).